When we think about about orchids we usually think about tropical islands or unexplored jungle-covered mountains in distant lands. This is not always the case, and many orchids are also found in temperate and cold regions of the world. 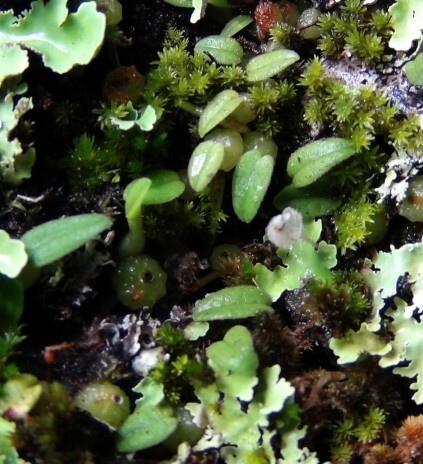 Some orchids have even reached the Subantarctic islands where, not so long ago, two orchid species were discovered. There are over 100 species of orchids in New Zealand. 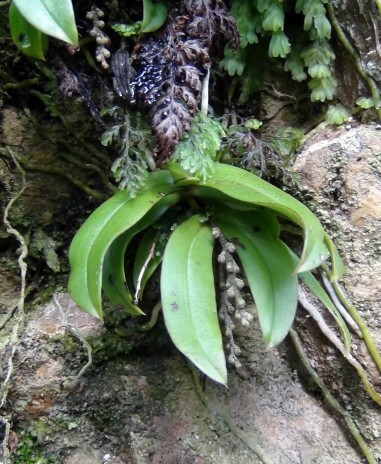 Some of them are very common and a trip to forested or alpine areas is all it takes to find several native terrestrial or epiphytic orchids. Recently I led a group of scientists and postgraduate students to several orchid-rich spots in the Rimutaka Range, only about 40 minutes from Wellington City. The aim of our trip was to find the different forms of the native Spider orchid Nematoceras trilobum in flower. Spider orchid (Nematoceras trilobum agg.). Photo CA Lehnebach, © Te Papa. In our two-day outing we found 11 species of orchids. Some of them had already finished flowering, some were in full bloom and others were just starting to come out from their winter rest. Gnat orchid (Cyrtostylis rotundifolia). Photo CA Lehnebach, © Te Papa. 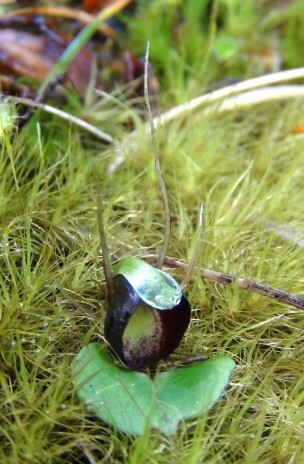 Helmet orchid (Corybas cheesemanii). Photo by CA Lehnebach, © Te Papa. 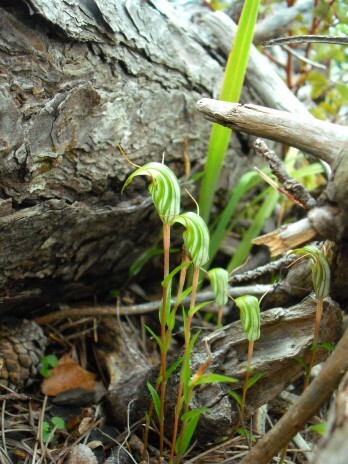 Green hood orchid (Pterostylis alobula). Photo CA Lehnebach, © Te Papa. Little moa orchid (Drymoanthus adversus, epiphytic). Photo by CA Lehnebach, © Te Papa. 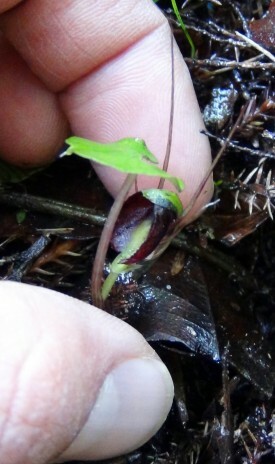 Pygmy orchid, piripiri (Ichthyostomum pygmaeum, epiphytic). Largest leaves are about 1cm long! Photo CA Lehnebach, © Te Papa. 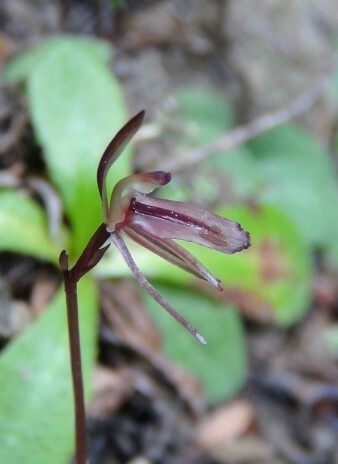 Luckily our trip was very successful and we found the Spider orchid N. trilobum flowering in several spots. It has been suggested this orchid attracts its pollinators, tiny flies commonly known as fungus gnats, by mimicking the fruiting body of small mushrooms on which female fungus gnats lay their eggs. Understanding how this system works in one of the goals of my research project “Does every spider orchid in New Zealand have its fungus gnat?” funded by a Fast-Start Marsden Grant. Spider orchid (Nematoceras trilobum agg. ), my finger = 1.5cm. Photo CA Lehnebach, © Te Papa. A way to demonstrate how similar the orchid and the fungi look to the fungus gnats is comparing their patterns of uv light reflectance. Anne Gaskett and Emma Bodley (University of Auckland) measured uv reflectance in some of the flowers we found this weekend. 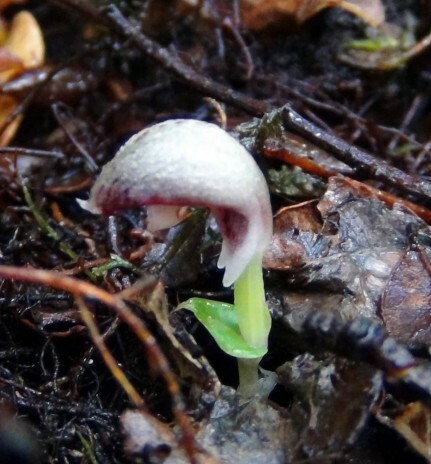 They will also investigate if the scent produced by the Spider orchid is similar to that of nearby fungi. Alastair Robertson and Chau Phing Ong (Massey University), are investigating how these orchids are pollinated and, with the help of Mary Morgan-Richards (Massey University), they will use DNA techniques to identify some of the gnats visiting the flowers. 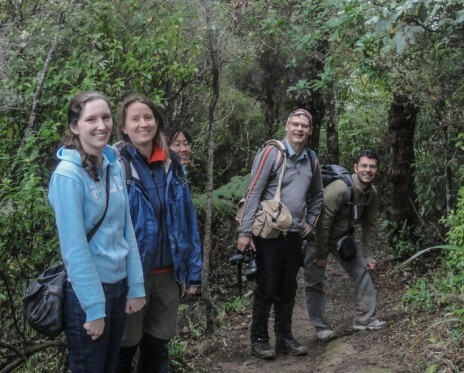 Orchid hunting in the Rimutaka (Emma Bodley, Anne Gaskett, Chau Phing Ong, Alastair Robertson & Carlos A. Lehnebach). Photo by Jonathan Frericks, © Jonathan Frericks. Impressive stuff. These are real gems. Were these found on the tracks from Catchpool Valley in Rimutaka Forest Park in Wainuiomata? thank you for this, very interesting, nice to think my local Rimutaka gives out another secret! Look forward to learning more wonderful finds.